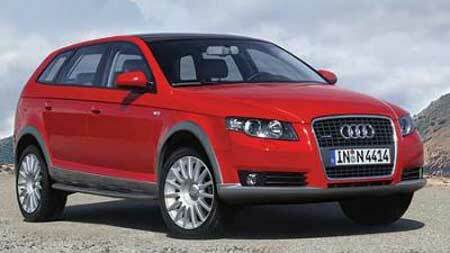 The 2008 Audi Q5 has been confirmed and production will take place in Ingolstadt, Germany. Before this, the group was deciding where to build the Audi Q5, as there are some qualms about production in Germany due to high labour costs. After all, many manufacturers have turned to China to cut costs as labour there is cheap. However, Audi decided the dedication, experience and ability of it’s German workforce are invaluable assets and they contribute to the final quality of the car. Audi cars are currently built either in it’s plant in Ingolstadt (A3, A3 Sportback, A4, A4 Avant, TT Coupe, TT Roadster) or another plant in Neckarsulm (A6, A8 and soon the Audi R8), with a total production of 510,416 and 241,710 respectively last year. The Audi Q5 is a cross-over SUV type of vehicle, much like the Mitsubishi Airtrek and the Subaru Forester built from a car platform instead of an SUV platform. It will use the Audi A4 platform. Engine offerings are likely the 2.0 FSI, 3.2 litre V6, and 2.0 litre TDI turbodiesel units.